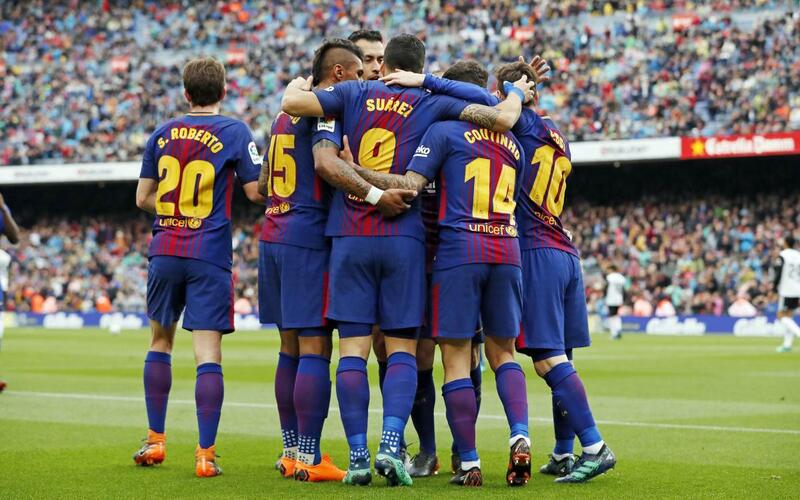 Barça have the LaLiga title in their sights, and could mathematically be confirmed as champions as early as this weekend. Ernesto Valverde's men hold their fate in their own hands, as a win against Deportivo La Coruña would give them the title irregardless of results for their rivals. They could even kick off the game at Riazor as champions, should Atlético Madrid and Real Madrid fail to win their respective games. With five matches still to play this season (they have a game against Villarreal rescheduled due to their Copa del Rey final participation), FC Barcelona hold an 11-point advantage over second placed Atlético, as well as a superior goal average in head-to-head meetings and a game in hand. The advantage over Real Madrid, who they play on the next matchday following the game against Deportivo, is 15 points. The third placed side also have an additional fixture compared to Atletico, against Sevilla. The Blaugrana could be officially confirmed as champions two hours before kick-off at Riazor on Sunday, should Atlético Madrid and Real Madrid both fail to pick up all three points in their LaLiga games. The latter side play on Saturday. Should Atlético Madrid or Real Madrid win their games, Barça would need just a point against Deportivo La Coruña to claim the title at 10:30pm on Sunday night local time.